Go, Tracy, Go! : Wow... I'm getting kind of scared. The other night, I had a bout of insecurity about Mt. Washington. I've wanted to do this race for years, but - let's face it - I'm not a talented runner. You can use all sorts of other adjectives to describe me: persevering, dedicated, dogged, delusional, etc., but you're not going to come up with "good." The way objective success and talent are measured in running is largely through speed, and I'm lacking there. The reviews of Mt. Washington use another set of adjectives: unrelenting, grueling, excruciating. For instance, check out this review of last year's race, from a dedicated and extremely talented mountain runner (the second American to break the hour barrier on the 7.6m course, in fact - I don't even break 7.6mph doing speedwork, and that's on a flat track). The photos are especially telling, as you can so clearly see the the runners are above the clouds. Above them. Or, as he states in his review, "You really did feel like you were in an airplane." To show this more visually, compare the Mt. 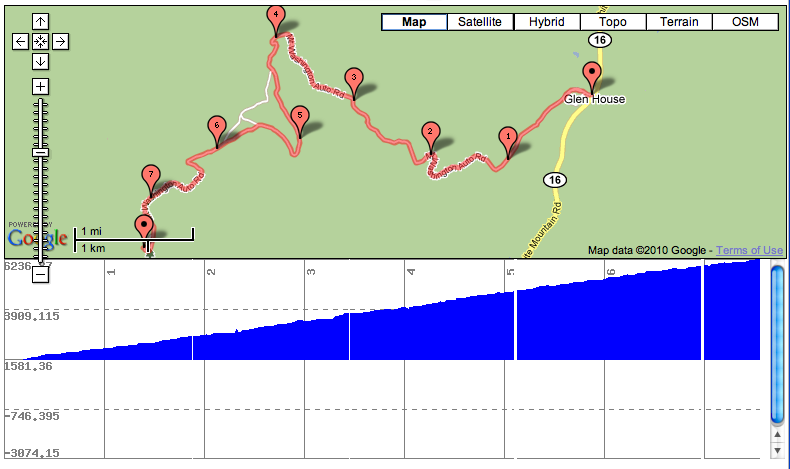 Washington and Pikes Peak Ascent elevation profiles. You see that? Unrelenting, straight up. The two maps show how Mt. 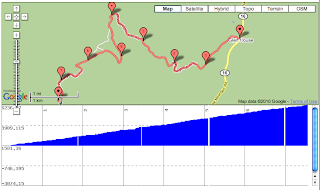 Washington is just straight up, whereas that section of the Barr Trail (shorter than Mt. Washington in this image, at only 6.3m) has peaks and valleys. Mt. Washington may be less technical than Pikes Peak, for certain, but it is unrelenting. Or, in their words, "The Mt. Washington Auto Road is 7.6 miles in length, has an average grade of 11.5% with extended sections of 18%, and the last 50 yards is a 22% 'wall' to the finish." Wow. That is intense. To think that 6% grade on the treadmill feels like a big deal... At least you have a few months to train for it! I have done both races and was blown away by how unrelenting MW was. At Pikes, you do get several breaks, and heck even some downhills on the up where you can recover, or even speed up. None of that at MW.